It was never precisely known who the owners of Transneft preferred shares are. In May, the rumors circulating in the market for a long time have been confirmed: UCP is a significant minority shareholder of Transneft. 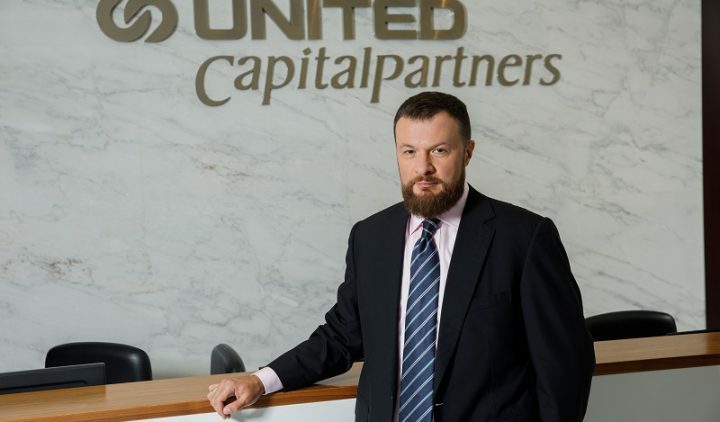 Ilya Sherbovich, Managing partner of UCP, said that his company had been buying Transneft shares because of expected growth of the company’s market capitalisation. Moreover, these shares were supposed to be bought back by Transneft, although this information has been denied by the company. There are also rumors in the market that UCP acts in the interests of Rosneft which will be the ultimate buyer of its stake in Transneft, but Sherbovich argues that Igor Sechin has no nothing to do with the deal. In his interview to Vedomosti, Sherbovich elaborates on why he considers himself an activist investor, which of the UCP’s investments turned out to be successful and whether the group will participate in privatisation of the state-run companies. The stake in Transneft is your major asset, however its size is not known. Could you disclose it? We do not disclose the size of our stake. I reiterate that information circulated by Transneft, that the size of our ownership is 1.1 million preferred shares, is not true. Therefore, it is incorrect to calculate the value of our stake based on this data. We are indeed a very large shareholder of Transneft, the second largest after the Russian Federation and the largest among all holders of preferred shares. But there are hundreds and thousands of other shareholders, beside us, including international investment funds. Is your stake smaller or bigger than what Transneft is referring to? Our stake is significant. It is large enough for us to be interested in what is going on in the company. Obviously, we are interested in maximizing the value of our stake. Investors are often described as people who care only about their own interest of how to make as much money as possible. Sometimes even derogatory words are used with reference to investors such as “speculators”, etc. I would like to emphasise that investors like us cannot make a profit if capitalization of the entire company does not grow. If company’s value increases, then the value of our stake would also go up. And we work to ensure that capitalization grows to a maximum possible level. This result is also beneficial for the government, especially in light of the ongoing privatisation process. What was the rationale of UCP for making this investment? You were accumulating Transneft shares for a long time, weren’t you? The term “investment” itself contains the answer to your question. What is the purpose of investments? Making a profit. Capitalization of Transneft has been growing in recent years, and we have acquired the stock at prices well below their current level. When we started looking at the stock for our portfolio, we realised that it is poised for growing several times. And if promises on dividend policy repeatedly made by the management and the government representatives come true, then the stock price has a potential to at least double from its current level. Of course, Transneft itself can be hardly expected to deliver a two or a three times growth in operating and financial performance indicators, but it is a stable and predictable business that deserves a higher valuation. By the way, we are interested in increasing our stake to 75% plus 1 preferred share – either on our own or in a consortium with other investors. This will enable us to make strategic decisions concerning the company’s capital structure together with the main shareholder, the Russian state. Is it true that there was an agreement on selling the UCP’s stake to Transneft? Information that there is an agreement between UCP and Transneft has already been published in the media. I can only confirm that yes, such an agreement does exist. We have obligations on confidentiality so commenting on its details would be wrong. Would you like to use this agreement as an argument in the court? I will abstain from commenting. I confirm the fact that the agreement does exist but its execution remains an obligation of those parties who signed it. Is it true that at the end of the last year Transneft offered to buy out the preferred stake from UCP? – Yes, indeed, negotiations started in late 2015. Representatives of Transneft came to us to talk about a potential deal. The work on this transaction has been done, all terms and final documentation have been agreed at the end of January. But so far the deal was not closed. I think that this is a good question which should be addressed to Transneft. And are you still ready to sell the stake? This is not by default; the decision depends on price. The company’s capitalisation at the beginning of 2016 was higher than now. We are looking at several factors, including fundamental value and current market conditions. We are not in any negotiations right now. I would like to reiterate: we believe that growth potential of shares is still strong. How do you assess Transneft potential? What should the company do to realise it? Here, we act as an activist shareholder who would like to see the company working in accordance with adequate, generally accepted principles of joint-stock company governance. The company should focus on interests of all shareholder groups. This means that both the management and the board of directors should be focused on maximising profits, dividends and capitalisation. And what do we see in case of Transneft? Out of the total group’s revenue, over 90% is attributable to the parent company which is the issuer of shares that we own. But for some reason only 5-10% out of the total group’s income is accumulated at the parent’s level. If the entire Transneft income was accumulated at the level of parent company, then the owners of preferred shares could receive dividends that they are entitled to. According to the charter, this is 10% of net profit. We also believe that the company still has a room for improving performance. Transneft can quite comfortably generate about 200 billion rubles of net profit per year, but, I think, if the company worked more efficiently, it would have a potential to improve performance by another 10-15%. This would also increase the company’s distributable income. Will you try to challenge this in court, or is there still a window for a dialogue with the management of Transneft? I personally was a member of Transneft board of directors and raised these concerns for about a year. Sometimes this triggered quite active discussions but there was an understanding that the company was moving in the right direction. Moreover, Transneft website still, I think, displays a statement by [First Vice-President of Transneft Maxim] Grishanin who spoke about plans to switch to a dividend payout ratio of 25% of profit under IFRS with the following proportion: 10% to be paid to the holders of preferred shares, and 15% to the holders of ordinaries (that is, to the Russian government). This question has always been discussed along these lines. But since then nothing has been happening for three years, just talks, no changes. This is the reason for the shareholders’ appeal to the courts. Is the government receptive to your position, namely the Federal Property Management Agency? It seems that they should be particularly interested in getting bigger dividends. We, jointly with other shareholders, have circulated letters outlining our position to many different state bodies and authorities. After what happened this year, when Transneft paid the smallest dividend of all companies with state control – less than 9% of income under IFRS while proudly reporting that it paid 100% [under RAS] – I think that the issue of enlarging dividends is clearly on the agenda. As far as I know, the government has a position that these payments should be increased. Indeed, the law has a clause forbidding companies to pay dividends greater than 100% of a company’s net income under RAS but this is a rather technical issue and can be easily resolved. Previous heads of the Federal Property Management Agency have repeatedly made the same mistake. Discussion of the dividends usually began towards the end of the calendar year, but they intensified only in January-February, i.e. on the eve of making a dividend decision. Meanwhile, for some reason, everyone forgot that companies’ distributable profits are formed before the end of the calendar year. I hope that following the new appointments in the Federal Property Management Agency this practice will be adjusted and the matter of distributable income for the next year dividends will appear on the agenda as early as in the middle of the current year. Have you already approached the new head of the Federal Property Management Agency with your ideas? Yes, we wrote letters expressing our position. We attended joint meetings where our representatives spoke about this issue. I have no doubt that the government today clearly recognises this problem. Let’s see how it will be implemented. It’s a pity that Projector has withdrawn its claims. Our lawyers were in contact with their lawyers. It was probably easy for our opponents to resolve the issue with Projector given that they owned a relatively small number of shares. Who has acquired its stake? Was it you? No. As for other shareholders, we have their support, they participate in the meetings, send letters to state bodies, etc. We also know that almost all analysts of investment banks share our position on dividends. UCP challenges the distribution of dividends for 2013, but what has happened in 2015 was almost the same. Will you file another law suit? First, we need to wait for the results on the 2013 case and then we will look at 2015. Our goal is not to overload our judicial system with too many law suits. By the way, if you look at an absolute amount of dividends underpaid to us for 2013, the disputed amount is not very material. Our partners and I have recently decided that if we win in the court, we donate this sum to one of the state-run charitable foundations. It is not as important for us to get this money from Transneft as to achieve justice and convince everyone that such discrimination of shareholders should be stopped. Some people believe that you have acquired Transneft shares having an agreement with the chief executive officer of Rosneft, Igor Sechin, in order to resell your stake to Rosneft. Is it true? What I would advise to do is look at the financial results of our investments instead of politics. Talking about our relationships with Rosneft, we do have several joint projects and I was a member of the board of directors of the company in 2012-13. In Transneft situation, we do not represent anyone else’s interests. Yes, we have drawn additional financing to buy these shares. This is our routine investment approach: if the transaction is profitable for us we go and make it. What are the UCP’s projects with Rosneft? Since when I served as a member on the board of directors of Rosneft, UCP has been engaged in various transactions. UCP team has many former investment bankers, and Rosneft was one of the clients of UFG and Deutsche Bank. We maintain our relations with Rosneft and with many of our corporate clients: we provide investment advisory services and from time to time co-invest in various projects. Where did you borrow money for the purchase of Transneft shares? We have lending partners but we cannot disclose them without their consent. The funding was raised on market terms. Do you personally communicate with Igor Sechin? Not as often as before when I was a member of the board of directors. But within the scope of our joint projects, I do, of course, communicate with him. Have you ever invested in Rosneft shares? Do you consider taking part in the envisaged privatisation? I personally have been a shareholder of Rosneft since when I served on its board of directors. I still hold my stake. From time to time, Rosneft stock also appear in our investment portfolio along with other liquid securities. As for the privatisation of Rosneft, at the moment we are not participating in it because its format is not clear. Russneft goes for an IPO – is it interesting for UCP? We are not focusing on it specifically. Our portfolio is full of liquid securities – dozens and possibly even hundreds of different stocks. If an investment bank announces that it conducts an IPO or a secondary placement of some company, then we study the investment opportunity carefully: the valuation, facts known about this company, etc., and if the deal terms are attractive we participate. What are the priority industries for UCP? We do not have any industry specialisation. For us, the main criterion is whether an asset value has an upside over the medium and long term. If there is a short-term upside, it is excellent, but, in principle, we focus on the medium and long-term outlook. The Russian government is ready to put a wide range of assets up for sale – Rosneft, Sovkomflot, Aeroflot, and later Bashneft. Is there anything that might be of interest to you? We have submitted a bid for Alrosa. But then we felt that the fair value was slightly below the placement price so we ended up not buying anything. Other companies may also be interesting, it all depends on the valuation. In general, assets now are undervalued and this may be a good time for investors to buy. At the same time, we must understand clearly that the main reason for the low valuation of Russian assets is a poor investment climate in our country. And, unfortunately, companies with state control contributed to this situation. In Russia, portfolio investors are often treated as sheep herd whose only purpose is to buy shares in expensive IPOs and secondary placements. Remember, before the crisis, business owners often exhibited the following logic: right, now I am going to “brush” the company, clean it up and take it public! It was what is known as a “final chord” – to sell at a maximum price. At the same time, everyone seem to ignore the fact that investors do not buy shares to please the owner, they buy shares in order to earn profit from their price growth; for them this purchase is their “first chord”. Investors want to buy shares in a company that will appreciate and pay good dividends, where there will be proper corporate governance, where management will not create subsidiaries to hide the profits and avoid paying dividends to shareholders. Coming back to the Transneft example, if we want to create a good investment climate in Russia, then it is probably unwise to abuse investors of one state-owned company while simultaneously encouraging them to invest in other state-owned companies. Well, if private investors become shareholders of a state-run company and push for changes, its capitalisation will supposedly grow. There are different types of privatisation. If a controlling stake is sold and the company is transformed from a state-run company into a privately run, this is a serious transformation. Then such an idea might work. Now, we are talking about transactions where small stakes are sold through public offering. Hence, there is no change of control involved. Do foreign investors believe that our state-owned companies are run efficiently? That’s questionable. The fewer positive examples we see, the more difficult it will be to attract investors. Without any doubt, inefficient management worsens the investment climate in the country. But there are also country-specific risks, state regulation, laws. The law of Yarovaya, for example. In your opinion, do these things undermine the investment climate even worse? The discussions about the investment climate have been going on and on for so long that they have degenerated into a common thing: “… and we need to improve the investment climate”. You can mention dozens, hundreds, thousands of problems that affect the investment climate. For me, the most important factor is the lack of cult of shareholder value at the Russian companies. This relates to the overall system of protecting property and shareholders rights in Russia. If share price growth would become a real priority and a KPI for management compensation, then managers would be really concerned with the company’s value and ask themselves: Why our capitalization is so low? Will I lose my job over it? I always give Magnit as an example: investors always liked it and trusted the main owner, because he respects shareholder rights, strives to maximise the value of the business. This helped him in crisis: when he needed additional capital he was able to go to the market and raise money by placing shares. And look at most of our companies that behave in the opposite way. They find it difficult to sell their shares, no one wants to buy them, even at a discount. Their capitalisation has decreased by 50%, 60% or even more but this has not affected the management attitude. Moreover, we see a trend of growing management compensation in some state-run companies that is taking place against the backdrop of falling share prices. This is completely unnatural. Does UCP have interests outside Russia? Yes, it does. I cannot say that we have an active investment policy there. Basically, we form short positions in some assets that we view as overvalued and poised for decline. For example, we believe that Russian assets should on average be valued two times higher than they are currently worth, while US assets, on the contrary, should be valued lower by about 30%. Which of the UCP assets failed to meet your expectations? Do you envisage exiting some of your companies? What plans do you have, for example, with regards to Stroygazkonsalting, whose state of affairs is not so good? You say “not so good”, but in fact they are better than they used to be. Last year there were more contracts than the year before when there had been practically none. For an investor, it is of course important to know how the company feels and what return he would get on the investment. You will be surprised but this is a fairly wide-spread strategy: a lot of investors make money on shares and bonds of companies where a very bad situation is transformed into merely a bad one. This change often greatly affects the value of both debt and equity. For us, SGK is an investment in a distressed asset. It is not us who brought Stroygazkonsulting into its current poor financial condition, but our task, on the contrary, is to try to somehow improve the situation, primarily by renewing the relations with the main client. I hope that the issues with creditors will be resolved, the performance indicators will improve and the value of equity will gradually recover. There are series of bankruptcy lawsuits filed against the company. You should understand how the relationship between a company and its creditors works: in order for creditors to have the most favorable position for negotiations, they often need to file such claims. We do not deal with this legal aspect but care more about the financial side of the restructuring that is required for the company to improve its growth prospects. Is the situation with order book better this year than in 2015? I do not want to make statements that may affect the perception of the situation by counterparties or partners of the company. But we as shareholders are not interested in its bankruptcy so accordingly we will do everything possible to ensure that the company is doing well. Can you disclose the cost of acquisition of a 50% stake in Stroygazkonsulting from Ruslan Baisarov? No, we cannot. But the numbers quoted by the media are far from reality (according to Interfax, 100% of Stroygazkonsulting was valued in the transaction at $7 billion – Vedomosti). What are your plans for the stake in Inter RAO? This is one of the latest successful examples of our investments. Since we acquired this stake, the company’s capitalization has more than doubled. For now we intend to continue to be a shareholder of the company. Following the recent transactions, Inter RAO has good cash resources. The company is well capitalised. And we believe that growth prospects still exist. Are you going to increase your stake further? If I say yes or no, this can probably affect the share price. Therefore, I will not comment on this. Do you think that the government’s decision limiting the decision on how to spend 70 billion rubles proceeds from the sale of 40% stake in Irkutskenergo is justified? I think this situation is somewhat over-dramatised. Shareholders are interested in dividends, but if there is something more interesting than dividends, for example, a project that will yield more income, why not invest in it? We, as a private shareholder, are interested in having this money distributed either in the form of dividends or invested as efficiently as possible to increase the company’s capitalization. As an investor, do you have an idea on how the company could spend this money the most efficiently? Such decision should be taken jointly by key shareholders and the management. We are in a dialogue with the management. If there are no interesting projects for investment, the management does not exclude the possibility of dividends distribution. Since we became shareholders of Inter RAO, there have been no problems with corporate governance in the company. It is the opposite, we are happy. The company has a wide choice of strategic alternatives. It’s great! What is the status of claim filed by the minority shareholders of Eurasia Drilling Company against the company? The process is under way. We expect that some decision will be made by the end of the year or at the beginning of next year. We are not a very large shareholder, we have about 2%. The court must determine whether the claims of dissenting shareholders demanding a higher price for the buyback of their shares are justified. We believe that they are fair. Who was the buyer of your stake in the Chelyabinsk Zinc Plant? No comments. We have a confidentiality agreement. This is one of our recent successful investments. As a result of the crisis, the company’s share price fell from $17 to $2. But the zinc market outlook was much better. Then we started buying shares of the company. We accumulated our stake over the course of several years. We haven’t sold it at a maximum price, as we would have liked, but nevertheless our return on invested capital was good. We are quite satisfied with the investment. Can you provide examples of your most successful transactions? We had many transactions. It’s easier to say which one was unsuccessful: Monarch (shoe manufacturer – Vedomosti). All of the others were good. Yes, there were cases where we had returns of 7%, 9%. But given that we achieved these returns amid the crisis when the markets collapsed by 30-50%, we were satisfied. There were also projects when we came out with a return of several hundred percent. In general, our priority task is to avoid losing money and achieve a return from 25% to preferably 35% per annum. This is what we strive for, but sometimes the outcome turns out to be even better. What the activist investor is? You don’t seem to be a typical investor given that you often acquire large stakes. Financial investors, as a rule, own 1-2% stakes. You might have 15% and 20%. Do you view yourself as a financial investor or, in some cases, more than that? First of all, we are a portfolio financial investor. We very rarely take control in an asset. Usually we are looking for a company with good management and growth potential. Sometimes we do the opposite and consider a company which is undervalued because its management is doing something wrong. We understand that if we become a shareholder with an active position, we can change something in the company for the better. Would you be interested in acquiring control in Bashneft? I think that there is a more suitable investor for the Bashneft stake. Do you consider yourself to be an activist investor? Yes, in those situations where we have to reinstate justice and legitimacy and to defend our rights. This is an important point. In Russia, there is often a confusion of terminology. What is a raider? In a global context, not as it is perceived in Russia. There is a term – “corporate raiders” – which mean entrepreneurs who appeared in late 70s – early 80s first in the US, then in other countries. They obtained loan financing and offered shareholders of public companies, usually those with inefficient management, to buy a controlling stake. At the same time, they did not communicate with the management or the board of directors of target companies. This is why such transactions were called hostile takeovers. Were other investors hurt by these corporate wars? No, on the contrary, they benefitted because they received a premium to the price of their shares. Initially, the term corporate raider did not have any negative connotation. A negative connotation appeared due to the fact that some investors did not care much about the social responsibility. They often tried to extract maximum profits through massive layoffs and restructuring of a target company. This is how a negative connotation became attached to the term “raider”. But in Russian context, the term “raider” has a completely different meaning: it is an aggressive individual who unlawfully seizes the other people’s property, real estate, companies, etc. I emphasise: using illegal methods. The term “activist investor” also appeared in developed markets. Such investor usually buys a large minority stake and offers a constructive agenda to other shareholders and management aimed at increasing the company’s capitalization. This investor starts fighting for improving the company’s performance, asking questions to management, i.e. taking an active stance. A recent study conducted by The Wall Street Journal concludes that capitalization of companies with activist investors grows faster. Unfortunately, in Russia this culture has not developed yet. Activist investors are virtually non-existent here. It’s a pity as it would be very useful for market development. How is the UCP business organised? UCP is a holding company that belongs to its partners. We make different investments but we have a clear internal rule: we don’t force anybody to invest their money. Partners can chose the transactions in which they are ready to invest. As a rule, the decisions are made unanimously. Who are your partners at UCP? All partners are known. The core of the team is comprised of my former colleagues from UFG and Deutsche Bank. But we have many new people with whom we have excellent working relations. Each partner is responsible for a certain area. For example, Alexander Shmelev is one of the veterans on the Russian stock market – he heads the division investing in liquid instruments. Victoria Lazareva is responsible for private equity transactions, where we buy shares of companies that are not traded on the stock exchange. Mikhail Trofimov leads projects on several large investments and also heads the team of investment analysts. Among other partners are our CFO Alexander Mishuris and two highly professional and experienced lawyers – Alexei Knyazhev and Yuri Kachuro. What is the shareholders structure? Our partners are not willing to disclose their shares. As for me, I have disclosed my share upon the recommendation of the Central Bank for all professional market participants. Today it is slightly more than 75%. Can you disclose any financial KPIs of UCP such as revenue or profits? We are more concerned with a return on capital than with revenue and profits. Annual profits often show nothing. We started in 2006-2007 as a company with a capital of about $400 million. Since then, it has increased almost five fold. Does that mean that the partner capital of UCP is about $2 billion? Yes, it is around that, depending on the valuation of private investments. At the same time, the value of assets under UCP management is higher because there are also borrowed funds. How did UCP spend the $1.48 billion proceeds from the sale of its stake in Vkontakte? Part of it was invested, part is not yet invested. A large percentage of our capital is in cash deposited with different banks.